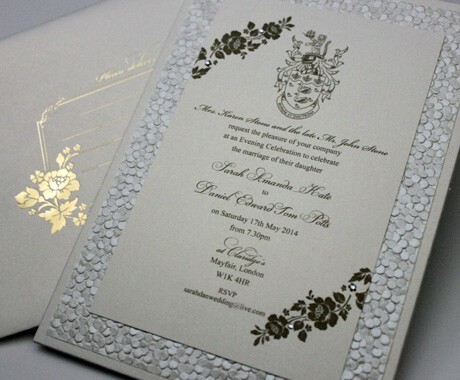 We settled on a neutral colour scheme of Ivory and Gold Foiling and chose a gorgeous Silver Diamante embellishment to sit on their Pocketfold Invitation that neatly held all of their inserts together. 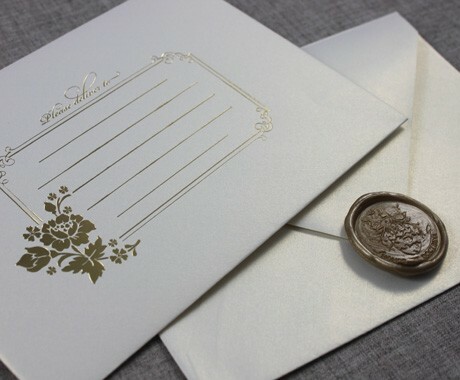 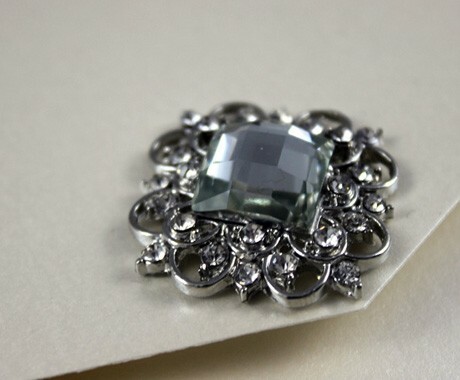 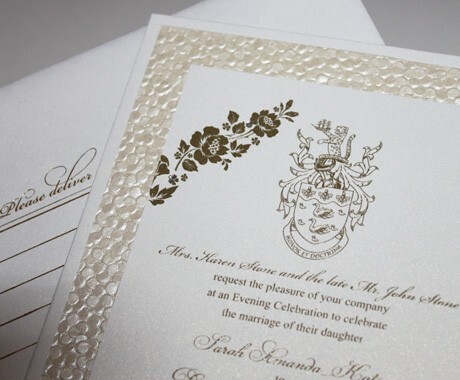 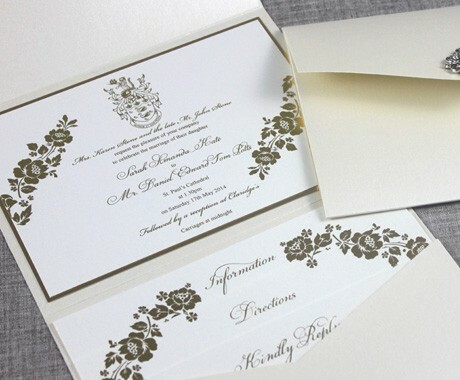 Custom envelopes were printed and custom Wax seals were made as the perfect finish to the ensemble. 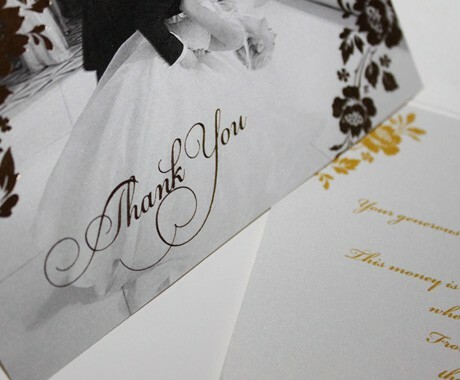 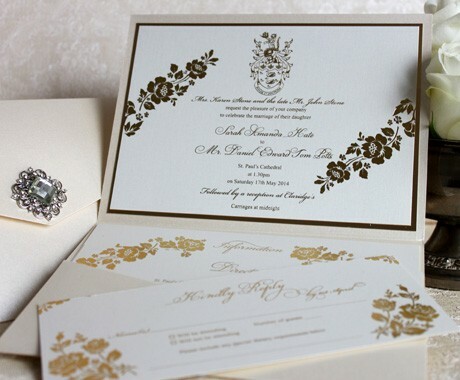 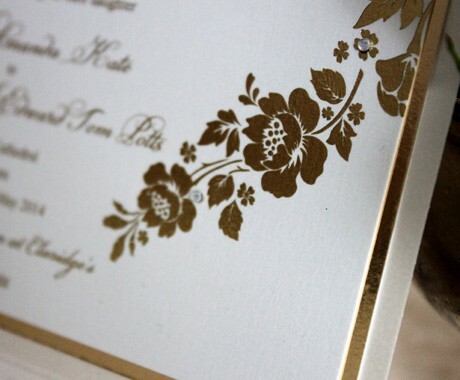 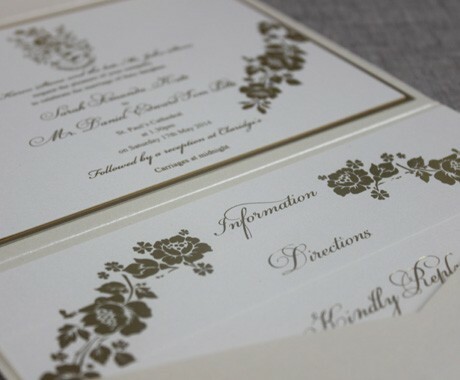 Evening Guests received a scaled design of a flat, layered Invitation printed in Antique Gold Thermography, but still carrying through with the Pott’s family rest and Roses design. 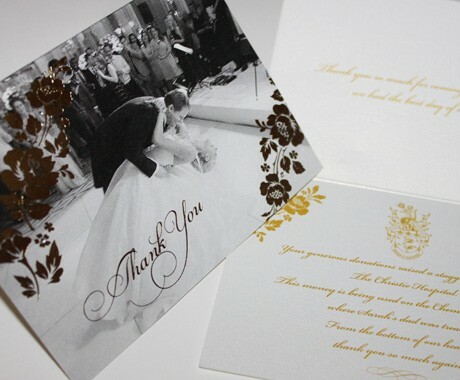 Following the wedding Sarah wanted their Thank You Cards to to include her favourite photo from their beautiful day but also carry on the Rose design, which was Gold Foiled to the front and embellished with a few Diamante’s.